I had the pleasure of making Baptism invitations for the adorable Deceil. Instead of going with the traditional pink we decided on lavender and silver as the colors. I fell in love with this tulle that I saw at the fabric store and knew I wanted to incorporate it in the invitation. It was a lavender color with silver glitter dots. 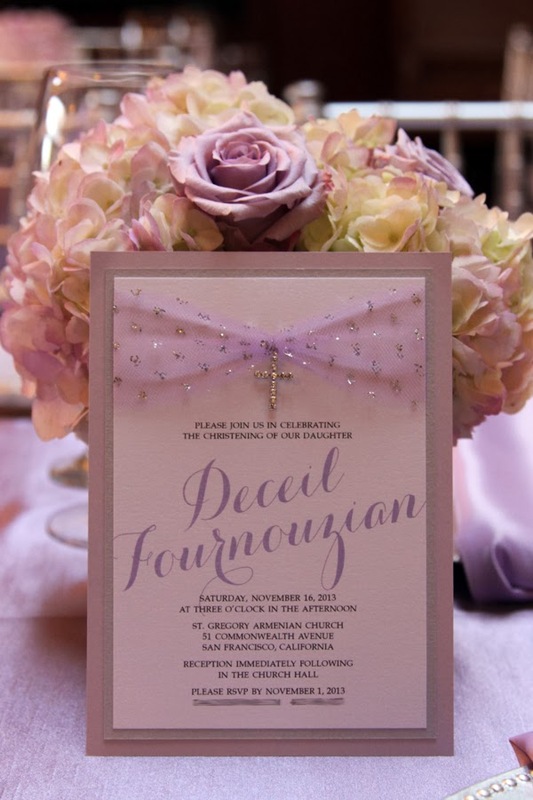 I wrapped it across the top of the invitations and then secured a swarovski cross in the center. I also made the favors for the Baptism. 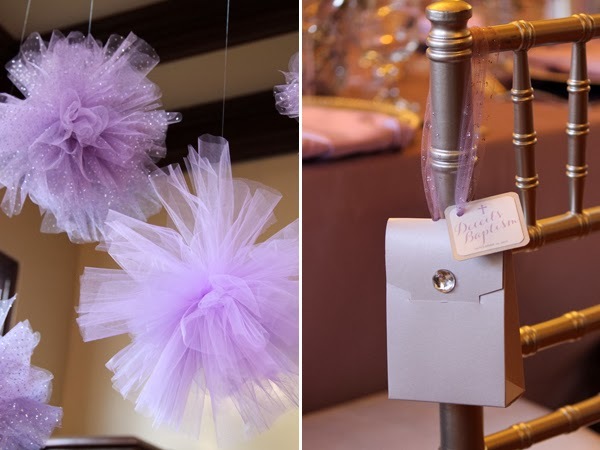 I ordered these lavender boxes that matched the card stock of the invitation. I wanted to create a favor that we could hang off the chairs. I added a tulle strap at the top and a rhinestone detail to make them look like mini purses. I was also hired to do the event design for this Baptism. Stay tuned for a future post on all the decor!